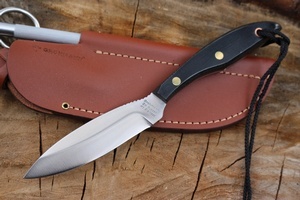 Grohmann DH Russell N01 Micarta with sheath and sharpening steel. 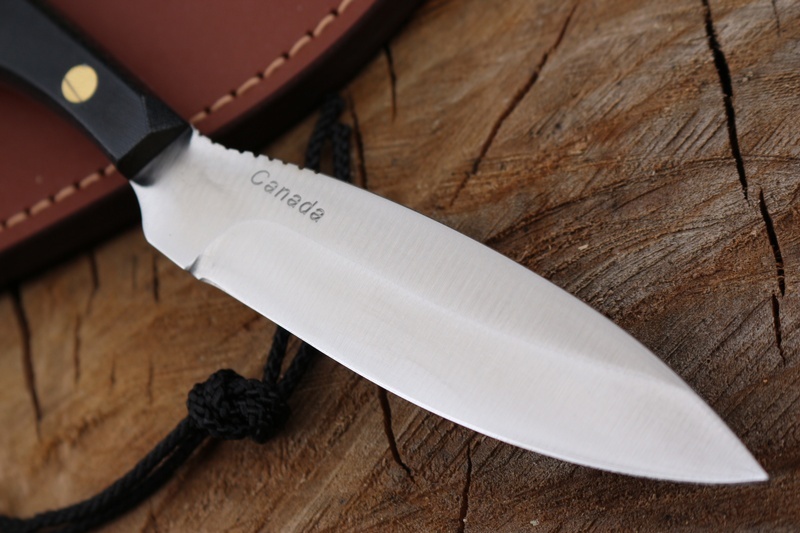 Full broad tang with Micarta scales and solid brass pins make for a tough knife and the 1/8th stock German Stainless 4110 steel gives good edge holding and ease of sharpening. 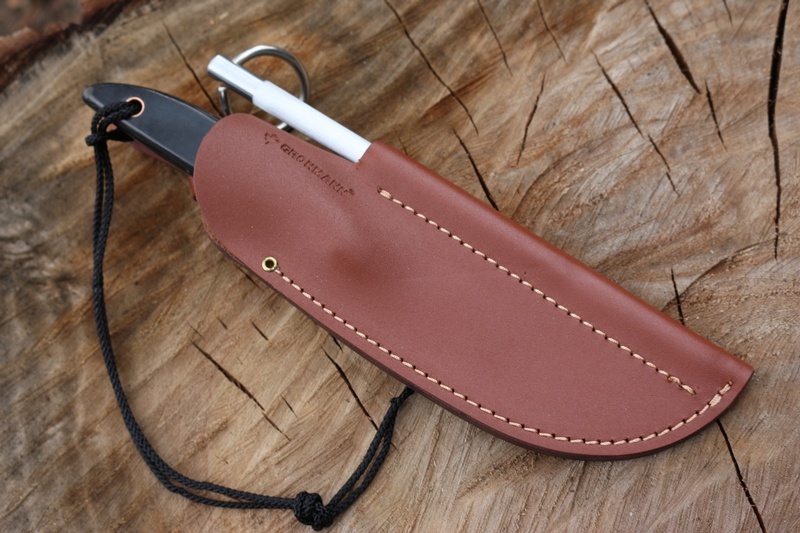 Comes with a quality leather sheath with a steel Vanadium sharpening Steel. 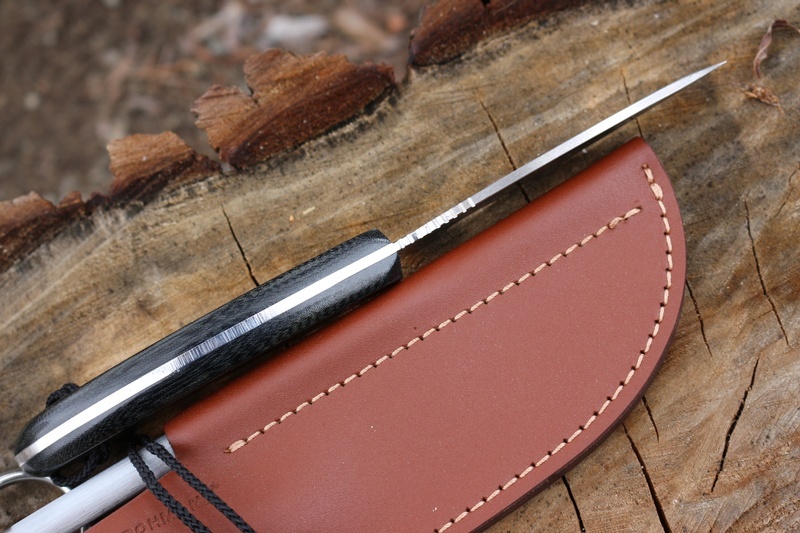 Purchase through PayPal by using the "Add To Cart" button above or use the form below to order the Grohmann DH Russell N01 Micarta with Sharpener . 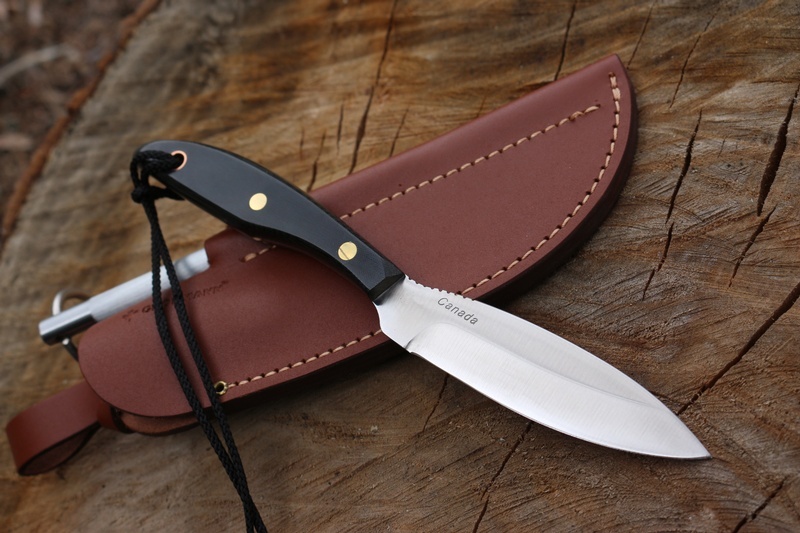 Feel free to contact us if you have any questions about the Grohmann DH Russell N01 Micarta with Sharpener .